A great decorative arrangement or a bridal bouquet always improve with the right foliage. The color, texture, and size of the branches and leaves that accompany your flowers should follow the style of your wedding. Do you know the 10 most common wedding floral decoration? 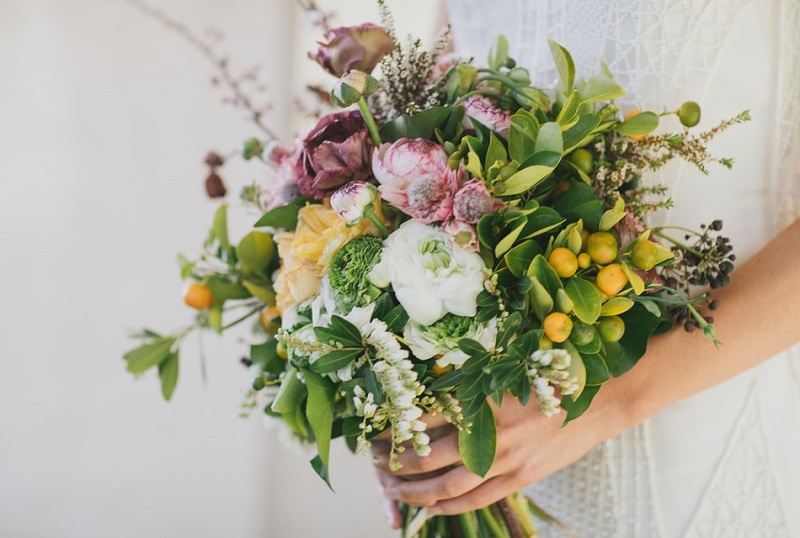 If you decide to have floral arrangements for a wedding at the banquet location, the church or you simply dream of a unique bridal bouquet that represents you, the foliage is the key to achieving a perfect natural harmony. The flowers that you select can be adapted to the style you want according to the rest of the plants that accompany them. Therefore, it is important that they know the most sought after in the latest trends and those that will never go out of style. Discover how to combine them and which one best suits your wedding. The Monstera is a plant of tropical origin of aerial roots with very wide hooks and leaves of up to 60 centimeters. It has some indentations that give it a unique appearance,, its stems are thick and it has more than 60 variants. It is one of the best wedding floral decoration. They are usually used in the decoration of centerpieces or even as a base for dishes at the beach or outdoor weddings. 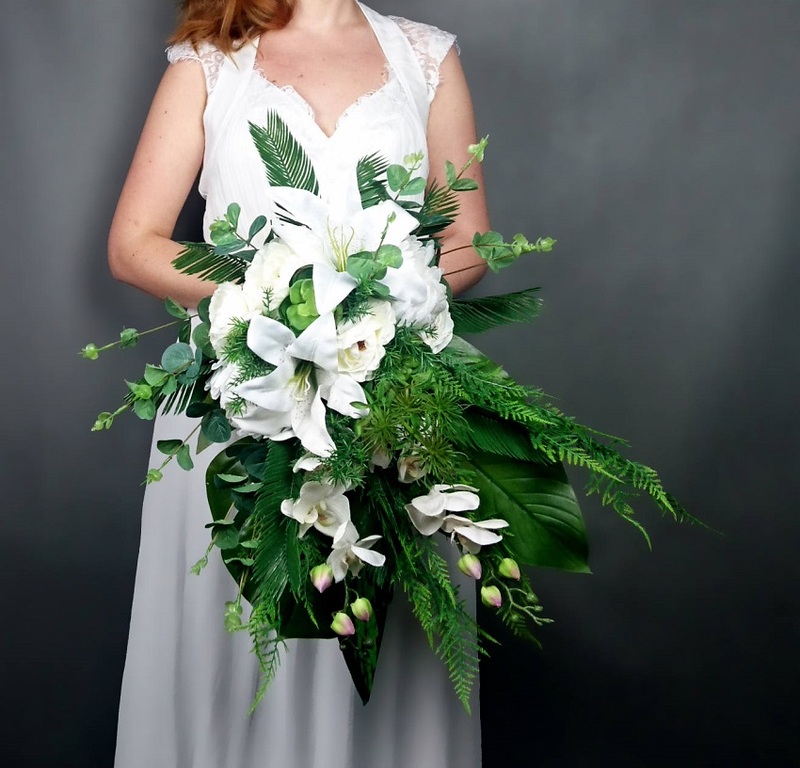 In natural bridal bouquets look great when accompanied by lilies and poppies. The aspidistra, noble and very strong at the same time, is often seen in courtyards and portals, so using it at the entrance to the reception will be simple. It is known as “the plant that fears the sun”, so it is ideal for interiors and adorns corners like no other. This foliage, which has its origins in China, Japan, and the Himalayas, shines long leaves bright lemon green; in some cases, with white streaks that give it a totally different look. Its flexibility is kind to create creative centerpieces and small supports for the bridal bouquet as if they were ribbons or mattresses among roses or white and red carnations. Eucalyptus baby leaves are oval, between grayish and bluish green. 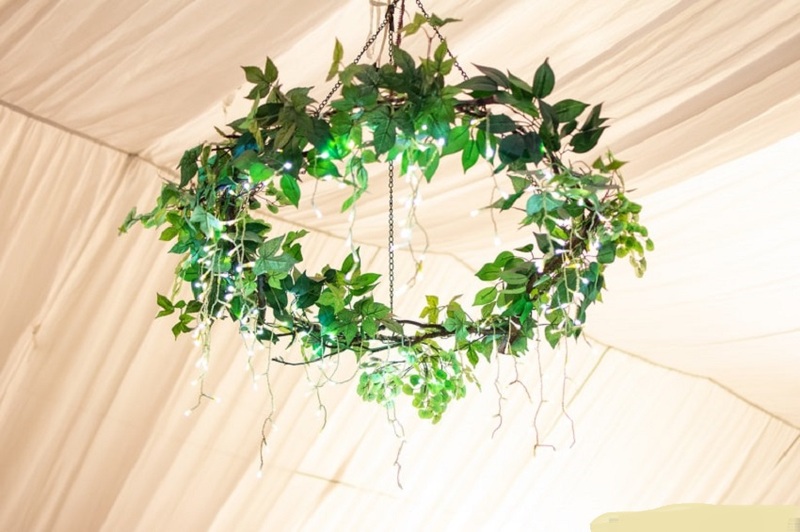 The bush in which they sprout comes, mainly, from Oceania and its sober appearance is perfect for a modernist or Bohemian style wedding. 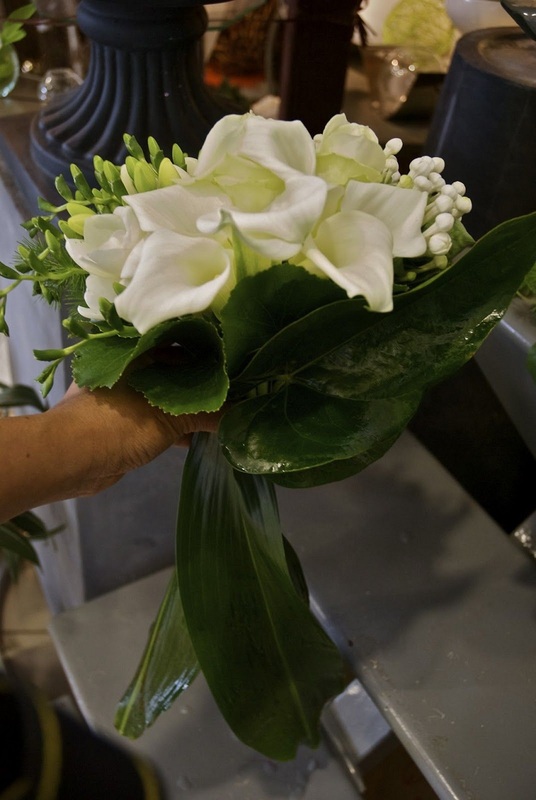 They look good for broad bouquets with small white flowers or different types of greens. In the centers of the table for a simple wedding and large scale arrangements can go next to peonies or orchids: the set will be quite romantic. Ivy is a European plant not very varied, but very beautiful. Its color is dark green and is oval to triangular, some have white or yellow stripes and some are born a tiny flower. Sure they place it as the climbing plant, as it is usual to see it covering some walls, making them look unique. It is the best wedding floral decoration. 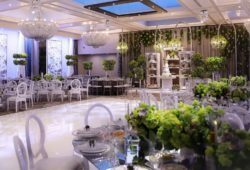 It is the best option if you think of hanging floral arrangements or playing with geometric shapes lined with ivy on the tables. In the bouquets, it is advisable to combine it with large, wild-looking flowers. Such as gerberas or roses with the freshest colors. The magnolia leaves are very bright green, oval and up to 20 centimeters long and 12 wide. This American ornamental plant has a waxy texture so it can be combined with other foliages such as eucalyptus baby and its natural flower, the beautiful, white and wide magnolia. 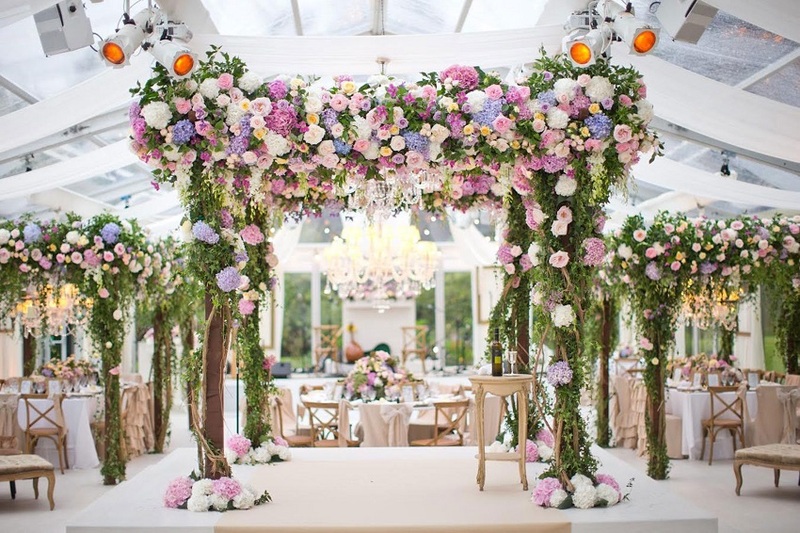 However, it is also excellent with brightly colored peonies and roses for a wedding full of light and color. The liriope, native to eastern Asia and classified as a ground floor, is often seen in the gardens as ground foliage and its most common color is dark green. It has narrow, long and arched leaves of up to 40 centimeters. It can be applied as a background in glass bases for tables with roses in the center. 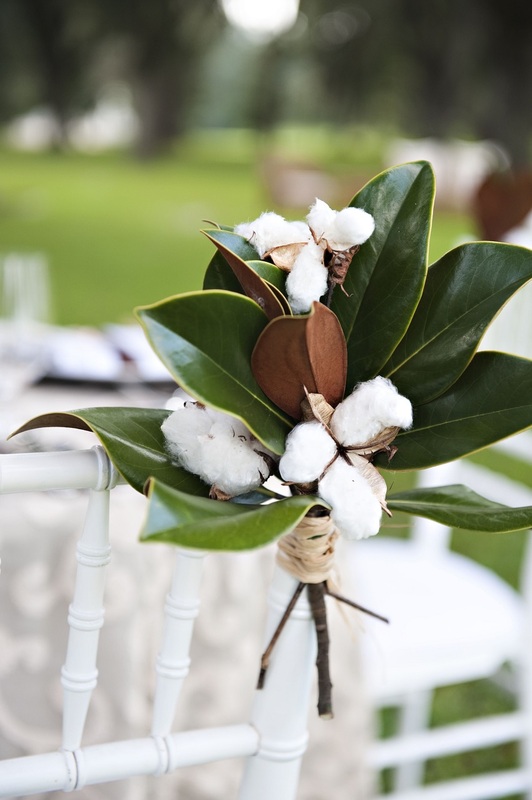 And in combination with magnolia leaves, a well balanced and sophisticated arrangement. 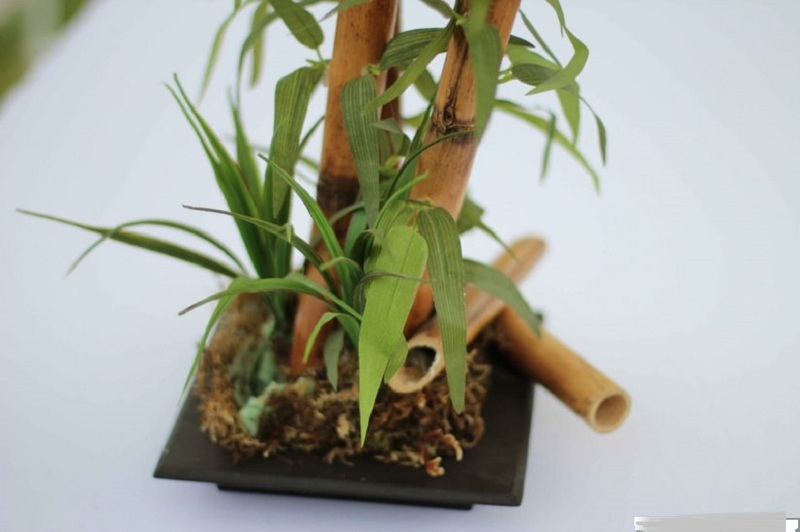 To obtain a simple wedding centerpiece that fit a minimalist wedding, liriope with bamboo stalks will be more than enough. Although the myrtle comes from Europe, Mexican varieties have earned it the title of “symbol of true love”. Its leaves measure two to three centimeters in diameter and are dry green, which makes them perfect to accompany tulips or hydrangeas. 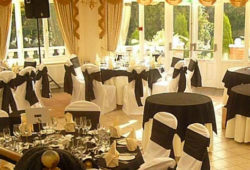 It is one the best wedding floral decoration. 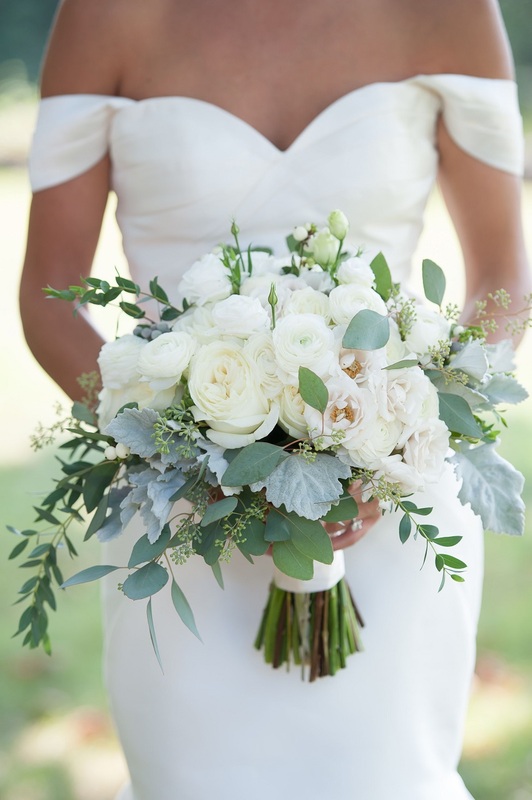 If you decide on this plant for the bridal bouquet, it is best to choose a small one so that it looks like good foliage. You can even go in the ladies’ bouquets, something nice but very subtle. 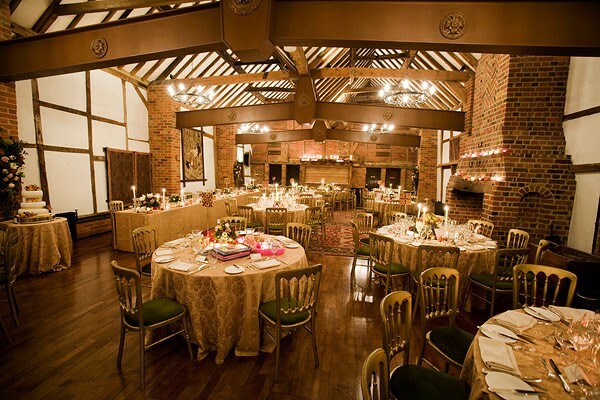 Also, in the horizontal centerpieces with log bases will look amazing thanks to the chromatic contrasts. The maritime cineraria arrived from the Mediterranean. It is a branched plant with leaves and velvety stems of a grayish green that approaches the silver. Undoubtedly, elegant foliage, bohemian or country, as they combine it. Because of its peculiar forms, it is used to contrast and break with the monotonous green in the gardens. In addition, it gives an intense yellow flower about two centimeters in diameter. The ranges of pink, peach, coral and bright white flowers are the perfect equipment for a very romantic bridal bouquet. Try astromelias, hydrangeas, mini margaritas, poppies, peonies or magnolias. For a more vibrant composition, use gerberas, tulips or dahlias in oranges or yellows. Sorghum is edible and its different varieties originate in Europe, America, and Asia. This beautiful branched and fibrous silver is cylindrical and is covered by pistil flowers and black, reddish. And yellow stamens, depending on the subspecies and season. This foliage option looks better if combined with others for asymmetrical country-style arrangements with large. And preferably white, flowers such as lilies. With this element, you can vary between horizontal and long or vertical. And very high centerpieces that will not stop looking elegant. The tepozan is a shrub endemic to the forests of Mexico, with a dry green color and a brown stem. Its leaves are born in pairs and take opposite directions; They also have beautiful and small white or yellow flowers. This species has a cold climate and appears in tall and highly stylized centerpieces. Or in cascading branches to those who wish to add asymmetric details with volume. Try them with margaritas or mini roses. Those are the best wedding floral decoration. Do not be afraid to take risks with several of these options in a single montage, many of these plants contribute to a great arrangement instead of obscuring each other, as you will see in the catalogs of bridal bouquets. 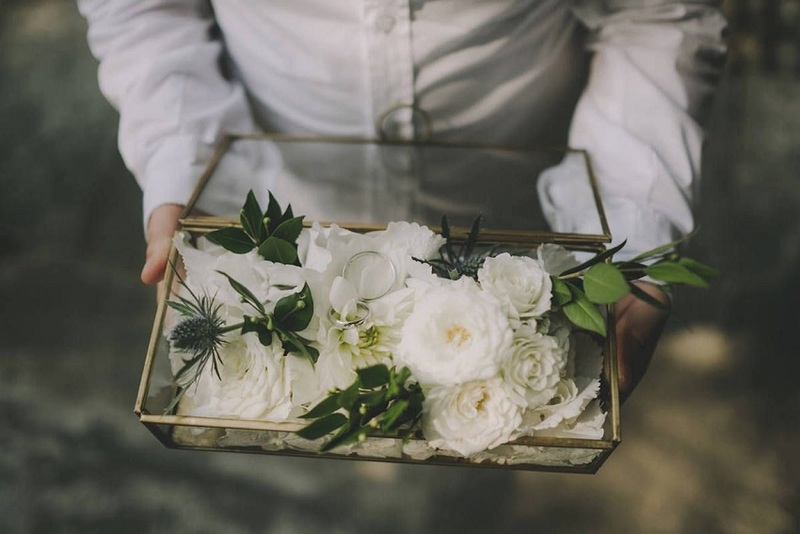 If you still have trouble distinguishing different types of flowers for wedding and foliage classes, lean on the experience of your flower arranger to make combinations and contrasts. 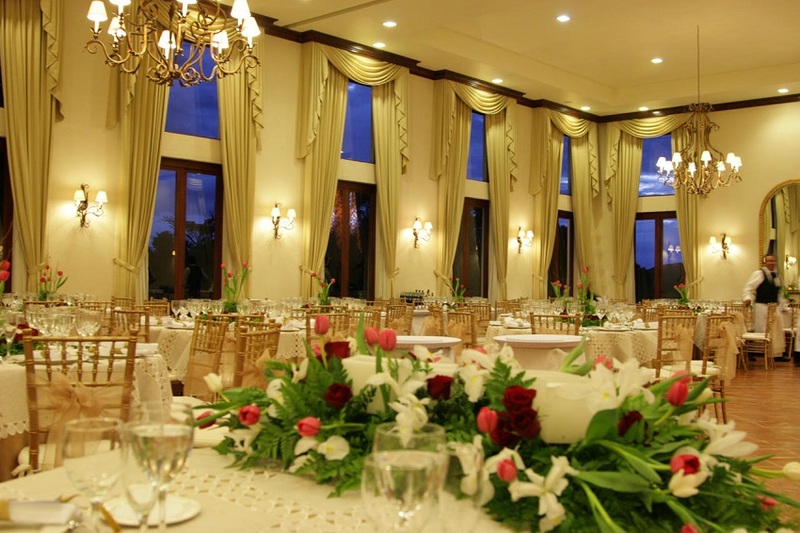 No one better than a professional to design your wedding floral decoration.